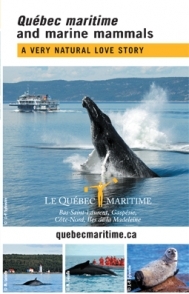 Our brochures provide a wealth of practical information to help you plan your trip to the maritime regions of Québec. All of them can be consulted online. Some are also available in print, which you can order by checking off the “Order” box next to the brochure you want and filling out the form that appears. This guide contains a wealth of practical information to help you plan your stay in Bas-Saint-Laurent. 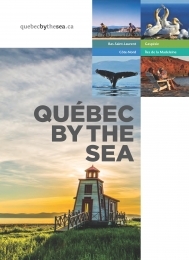 This guide contains a wealth of practical information to help you plan your stay in Gaspésie. 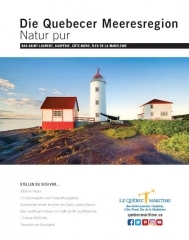 This guide contains a wealth of practical information to help you plan your stay in Côte-Nord – Manicouagan and Côte-Nord – Duplessis. This guide contains a wealth of practical information to help you plan your stay in the Îles de la Madeleine. 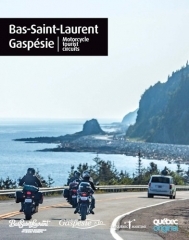 This guide presents motorcycle routes in Gaspésie and Bas-Saint-Laurent. It also includes practical information about lodging and local attractions. This map presents the network of cycling trails in Bas-Saint-Laurent and includes information to help you plan your stay in this region. You can order a copy of this map from the Tourisme Bas-Saint-Laurent website (http://www.bassaintlaurent.ca/en/documentation). Discover the Navigators’ Route (Route des Navigateurs), which runs through three tourist regions, including Bas-Saint-Laurent. This guide presents the must-see attractions and rest areas along your route. 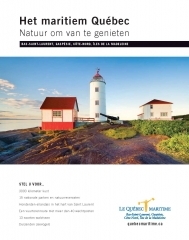 You can order a copy from the Tourisme Bas-Saint-Laurent website (http://www.bassaintlaurent.ca/en/documentation). This map presents the complete network of snowmobile trails in Bas-Saint-Laurent. This map presents the complete network of snowmobile trails in Gaspésie. This map presents the complete network of snowmobile trails in Côte-Nord. 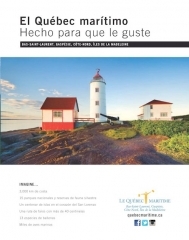 Our newsletters contain useful information to help you plan your next trip to the maritime regions of Québec. We send out between 5 to 10 newsletters a year and we promise not to overload your inbox!